It's all very well to learn an instrument and feel you're improving. But something that can be very useful is a benchmark of some kind to judge your progress. The Associated Board of the Royal Schools of Music has a series of graded exams, running from beginner at Grade 1 to top-notch Grade 8. As you go through them you can have a real sense of your development as an artist, especially as they're internationally renowned and recognised. 35 different instruments are examined by the Board, so chances are you're covered. The beauty of the system is that you learn at your own pace, with your teacher; there's no need to attend any special school. You take exams on your instrument, as well as in music theory, which you'll inevitably need as you develop as an instrumentalist. Generally, only the dedicated progress beyond Grade 5 (and you have to obtain the Grade 5 qualification to progress further; otherwise you can begin where you like, jumping in at Grade 4 if you feel confident enough). For most people, you'll want to begin with the Prep Test. This is for beginners with about nine months' experience playing their instrument. You play a set piece, another piece of your choosing, undergo an aural test and show your mastery of basic exercises on your instrument. You should be aware that it's not a pass or fail test. Regardless of how you do you'll receive a certificate, but with helpful comments appended. It may be that you're not bothered about qualifications, or exams make you nervous. In that case the Board also offers Performance Assessments for Adults, which are quite simply that. 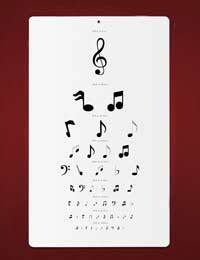 There's no theory, sight-reading, or specific repertoire involved. You play what you want and receive a written report, with no pass or fail. The only restrictions are that you need to be over 21 (younger with special needs) and play one of the instruments on the list. If you happen to be a jazz player, you can take a special set of exams aimed just at the genre. For piano it runs from Grades 1-5, with exams for other instruments, as well as jazz groups. By recognising the importance of jazz, the Boards have taken a large step into the present day, and an acknowledgement that not everyone wants to learn classical music. When you're ready, you can download forms for the exams at the Board's web site (ABRSM),from the Board's office, or from a number of retailers of instruments or sheet music. Exams are generally held three times a year, at locations all over the country (not much travelling is involved). With practical exams, the results take about a fortnight to be released. It's longer (around six weeks) for the theory exams. Exams can be important for those looking towards a musical career, but you should try and feel as relaxed a possible. Although the examiner is there to assess your work, in most cases he'll want you to pass. If it's your child taking the exam, just keep calm yourself so your child doesn't become too nervous or flustered.